Wow! A sandy beach and your own private west facing dock onto the canal. Imagine yourself spending the summer kayaking, canoeing, or paddle boarding along the sunny canals, what a way to live; and in the winter months the canal turns into your own skating rink, imagine moonlit skates right from your backyard or shimmy hockey games with the kids! No need to imagine this any more. 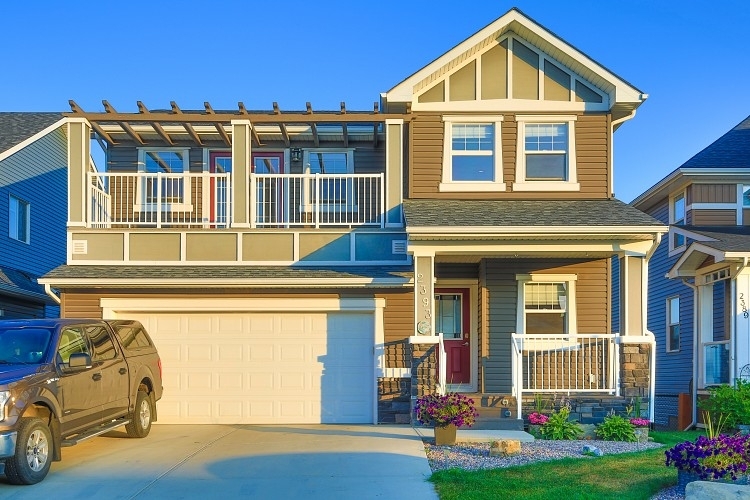 Power Properties just listed this amazing home for rent in Airdrie. Let’s see what it has to offer! 4 Bedrooms, 3.5 Bathrooms, 2288 + 905 sq. 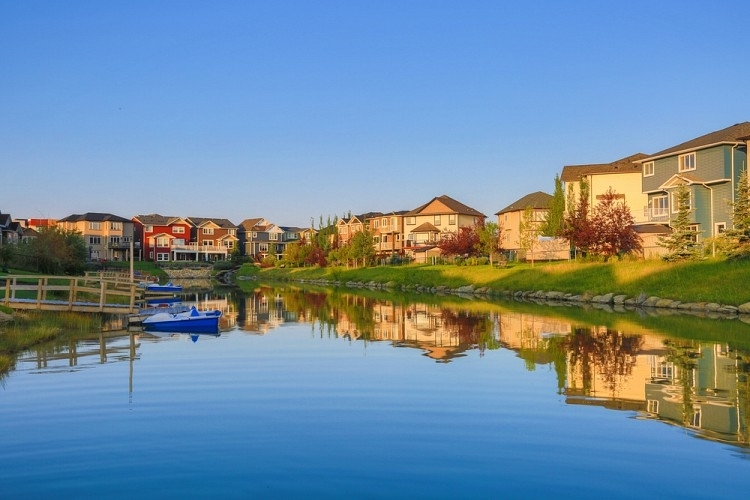 ft.
Bayside is a neighbourhood in the city of Airdrie. 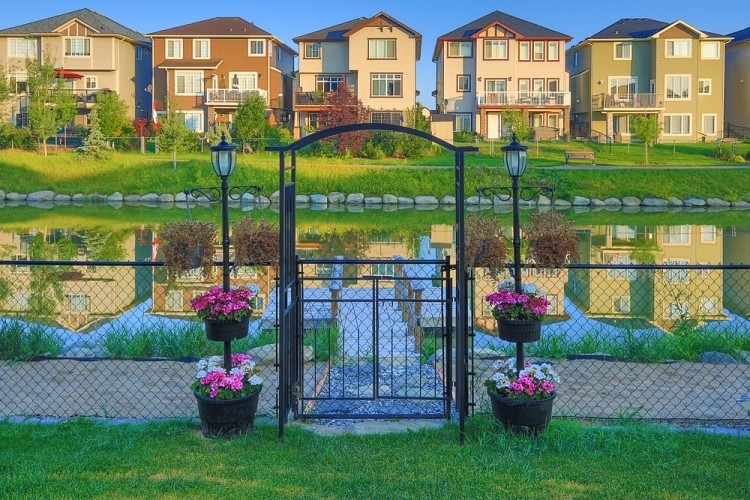 It’s a beautiful area where you can live close to the water and have a canal in your backyard. 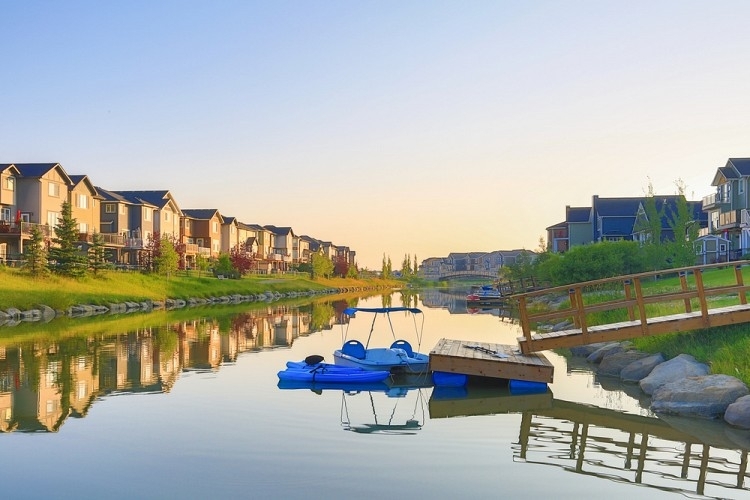 Whether it’s playing ice hockey on the canal, or cruising around the connected pathways and bridges by foot or bike, Bayside is a neighbourhood with just the right amount of action. The inside of the is house is just as impressive as the neighbourhood it’s in. 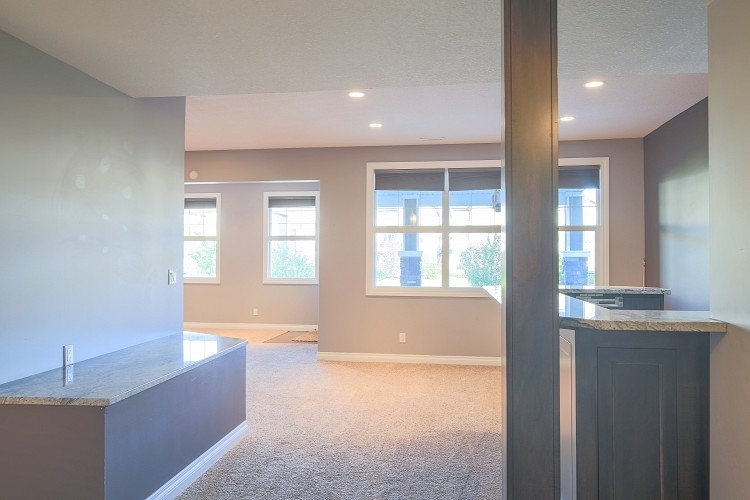 With hardwood floors throughout the main floor, granite counters and high-end stainless-steel appliances in the kitchen, you will not be disappointed. 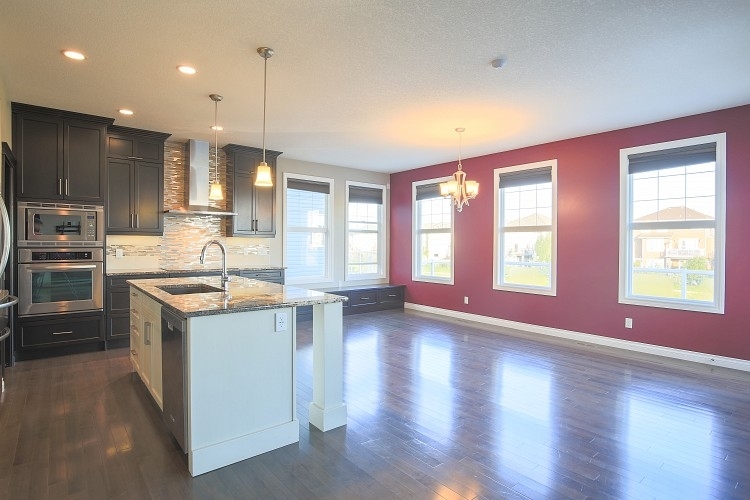 The open concept main floor includes an office off the front entry. 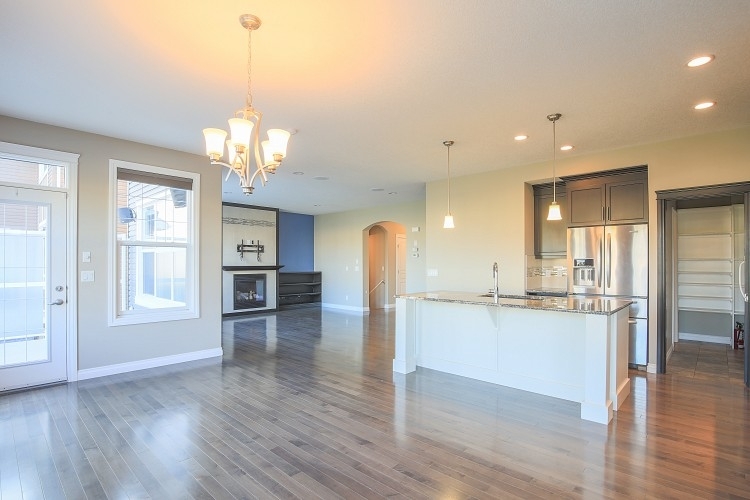 The spacious kitchen and great room combination is perfect for entertaining guests. The kitchen includes a massive granite island, a huge walk-in pantry, built-in speakers, and a view of the canal. 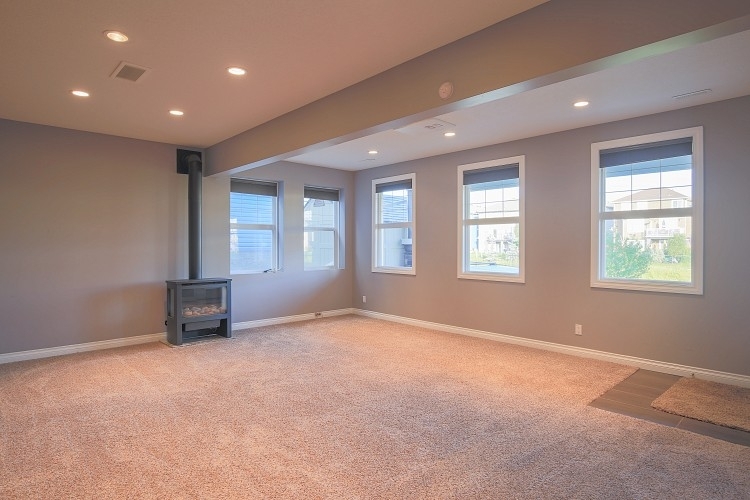 The great room features a gas fireplace, custom built-in cabinets and ample room for your sizeable furniture. The deck runs across the entire back of the house, perfect for summertime barbecues and outdoor entertaining. 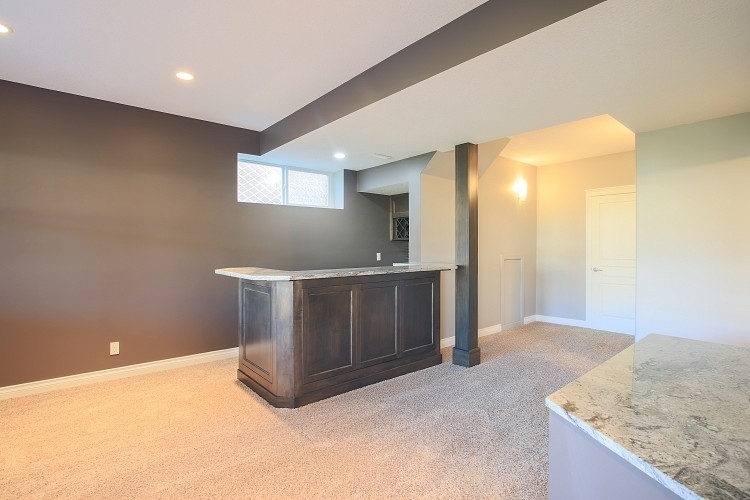 The fully-finished walkout basement includes a huge rec-room with a wet bar and fireplace to create an amazing entertainment space. There is also a full bathroom and infrared sauna, and a fourth bedroom in the basement. The back patio creates a sheltered space if you want to be outdoors, but prefer the shade. Last but not least, the backyard. This fully fenced backyard features loads of garden space, a storage shed and of course, the beach and dock. It really doesn’t get much better than this. Homes backing onto the canals are highly sought after and don’t last long, so call today to give your family the life they deserve. 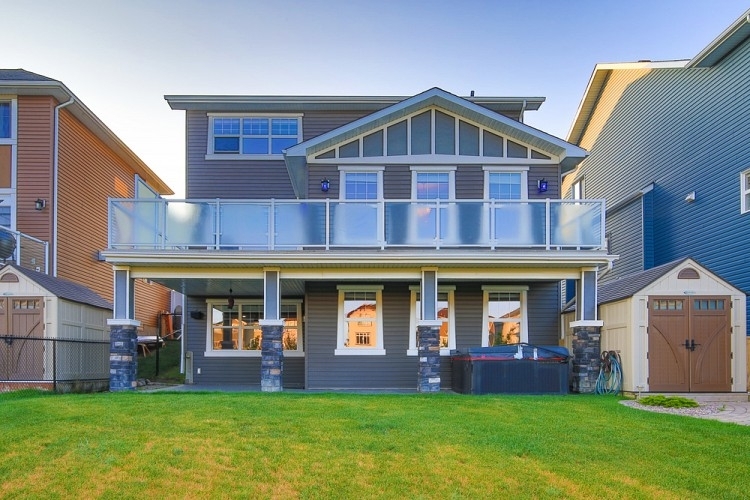 If you could see yourself living in this waterfront Bayside home and would like to learn more, visit Power Properties, or call (403) 407-1901. 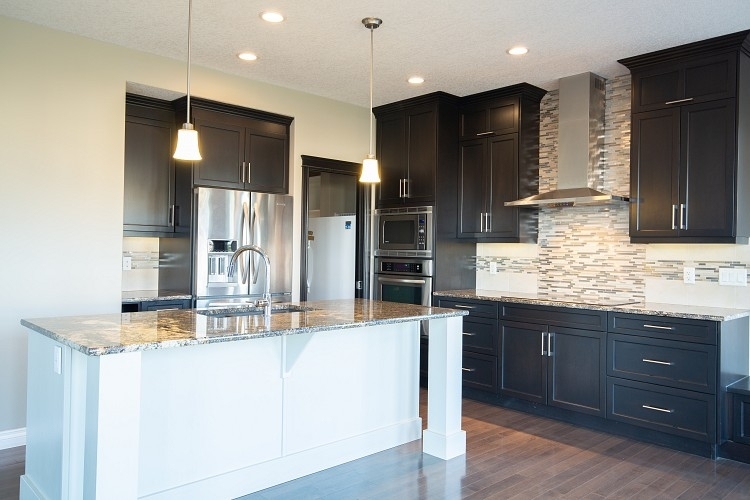 Search for more Airdrie homes for rent at RentZa.